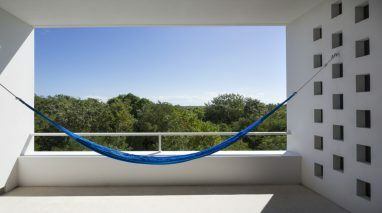 The plot is located at the edge of the mangrove swamp of Puerto Morelos, about fifty kilometers south of Cancun, at the Riviera Maya; beyond the mangrove are the unique colors of the Caribbean Sea. The property is surrounded by lush vegetation, typical of its watery condition. Nevertheless, with the height that the project grants to the future house, the sea will be seen, thus the views will be evolving from floor to floor: from the intense green, to the clear blue of the sky and the water. 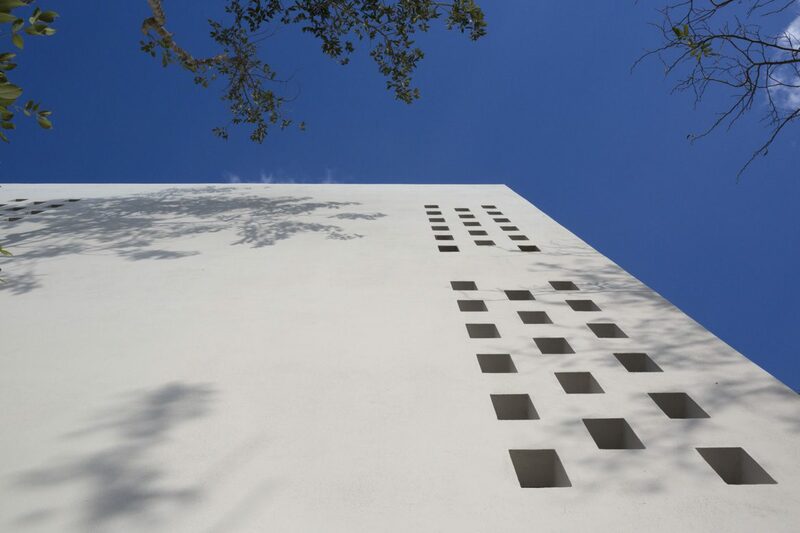 This will be the last of a series of row houses, and will have a small backyard. Access is provided from this street, and although little transited at the moment, it has public use. The architectural project wants to reinforce the neutral identity of the house towards the street, and prevent openings, while concentrating all the magic to the interior. 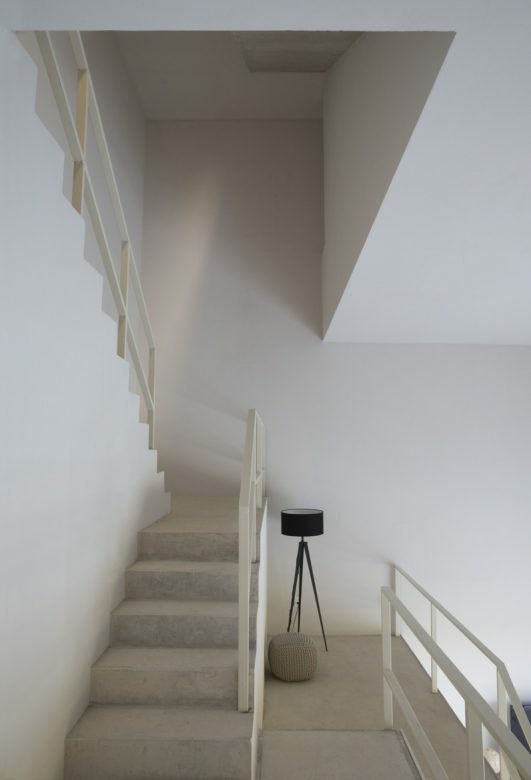 The domestic space is built around a staircase that qualifies the central space of the house and articulates the necessarily vertical character of the construction. 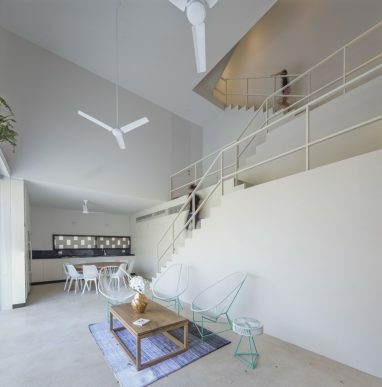 The sculptural staircase serves as a backdrop to the living room, a diaphanous space whose height and proportions qualify it as the main and nodal space of the house; the living room, on its turn, is widely open to the garden, and to the lush vegetation. The house is closed completely towards the south, where the street is, but also to the sun, which becomes almost unbearable in these latitudes. 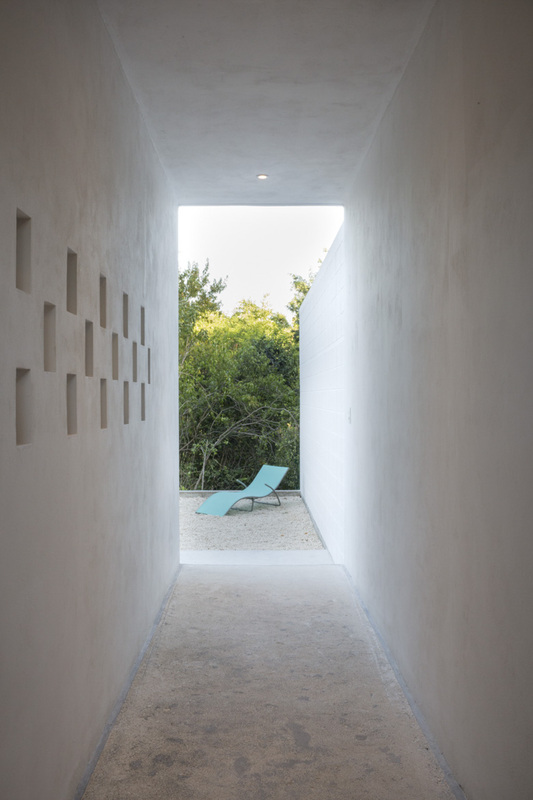 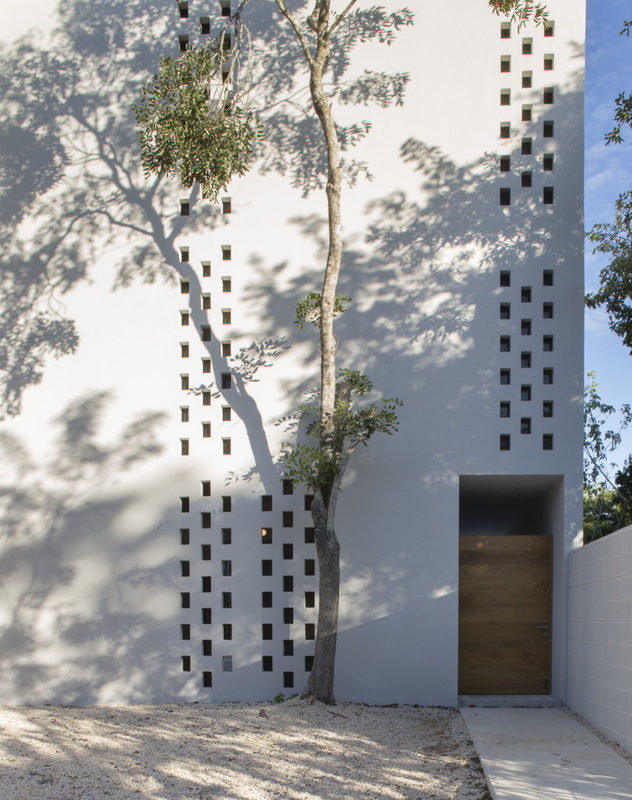 The stair rests against this south façade, and behaves as a structural spine that organizes the functioning of the house, and that leads you to all the rooms that open towards the north and to the views of the mangrove and the sea. 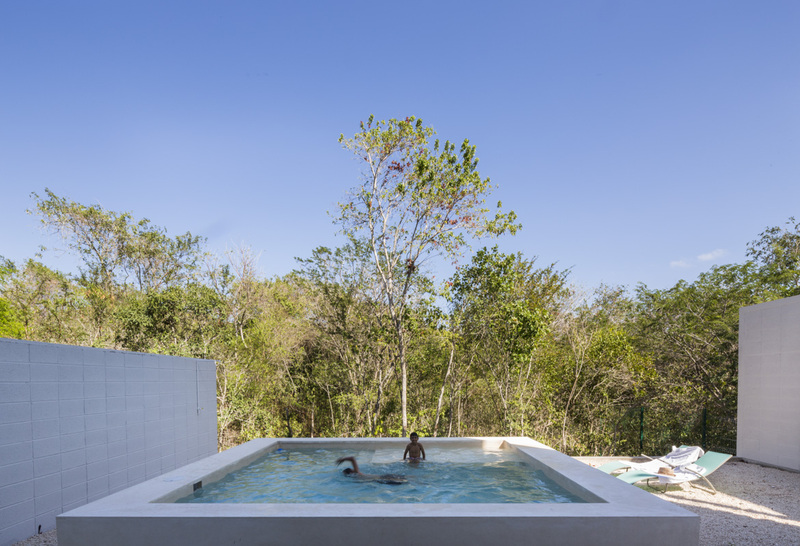 The rooms, located in the upper part of the house, are voluntarily plain and simple, just holding a bathroom and responding to the sole premise of orienting the bed to the views and always endowing them with a large terrace to benefit from life in the open air. 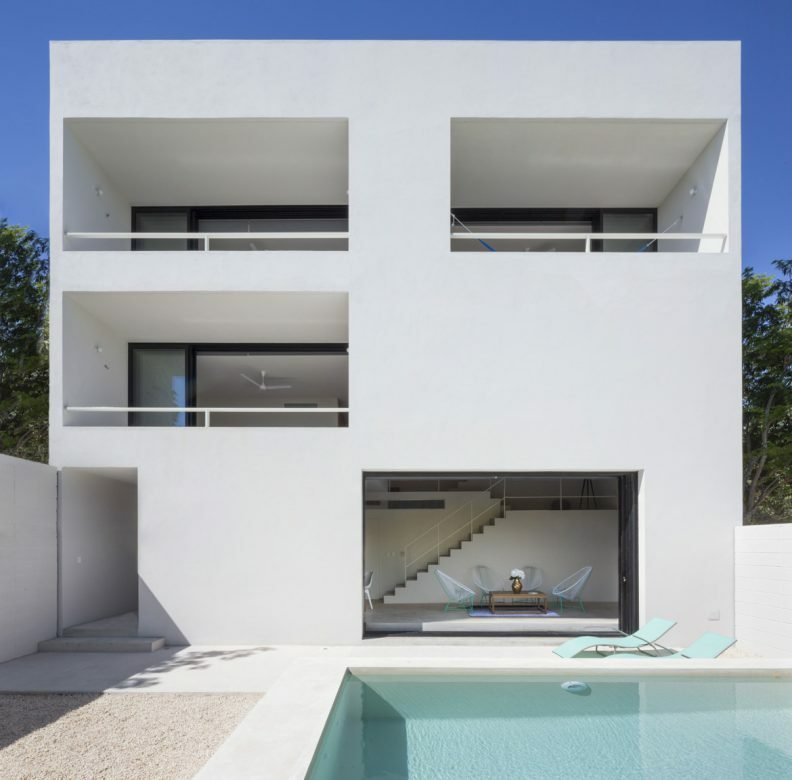 In this way, the south facade of the house is hard, closed and opaque, while the north facade is more permeable and ductile. The construction and finishes of the house seek to be as austere as possible, using the simpler construction techniques such as load walls. All is painted in a continuous color. 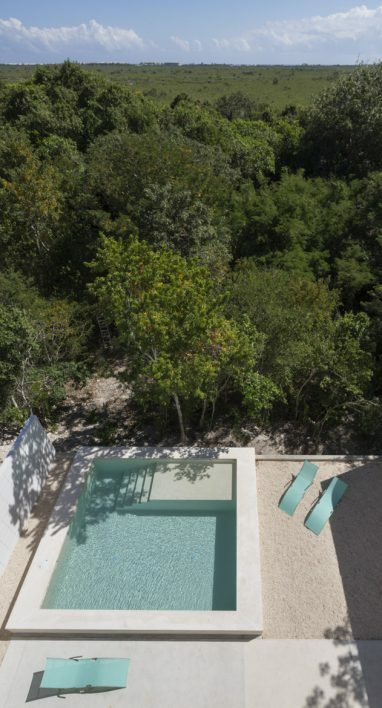 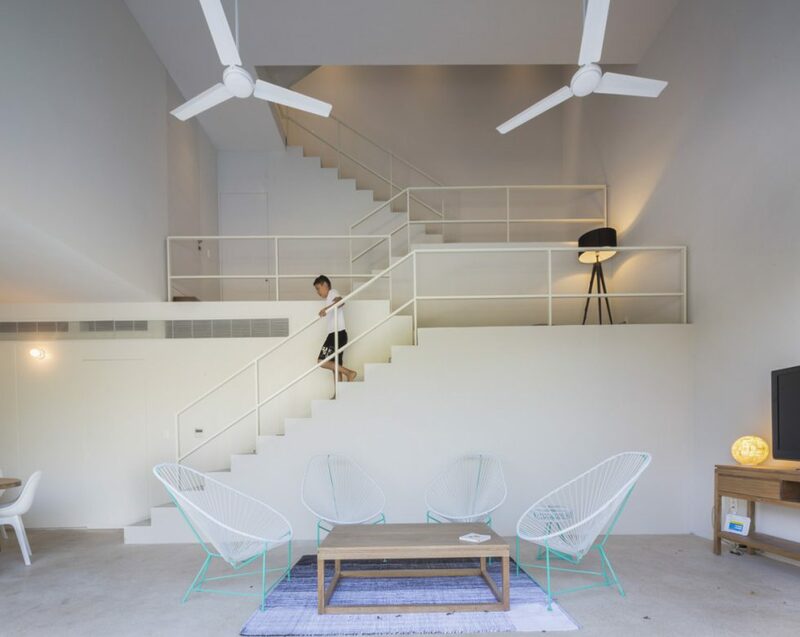 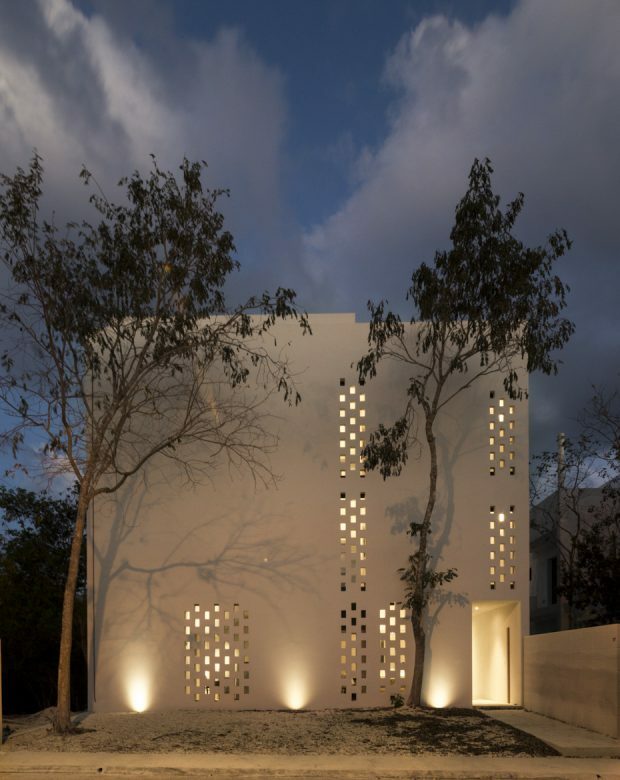 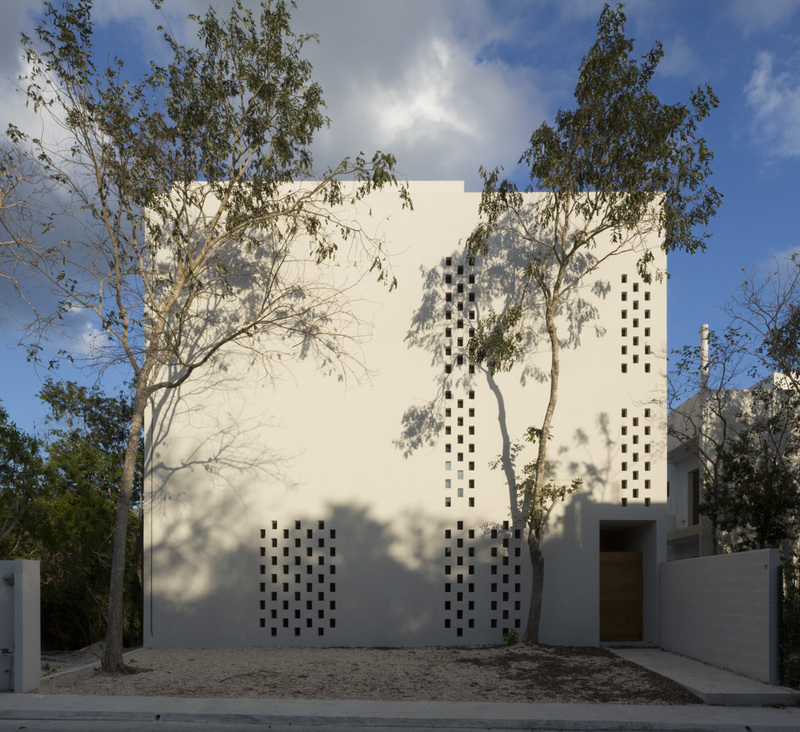 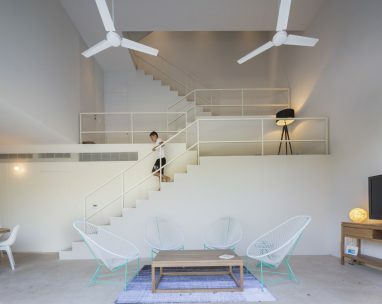 In the end, it is the space, with its opening to the mangrove, to the sea, the vegetation and to the white north light, the main protagonist of the house.